To have your race listed, please send the information needed for the calendar to The Race Calendar Coordinator. Please include discount code and information if you'd like to be included as a Featured Race. Featured Races offer discounts to CRC Members and are denoted with a gold star next to the Race below. Click on the Gold Star and you will be redirected to the Members Only page where you can find the discount code. You must be a member to access this page. Grand Prix Races: These races are part of our 2017 Grand Prix. 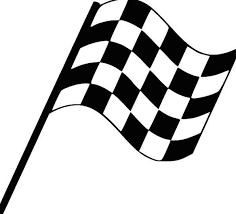 We would love to list every race that is sent to us but because of time and ease of use considerations, we only list races in the Charleston area. For South Carolina races outside of the Charleston area, take a look at Active.com and Running Journal.